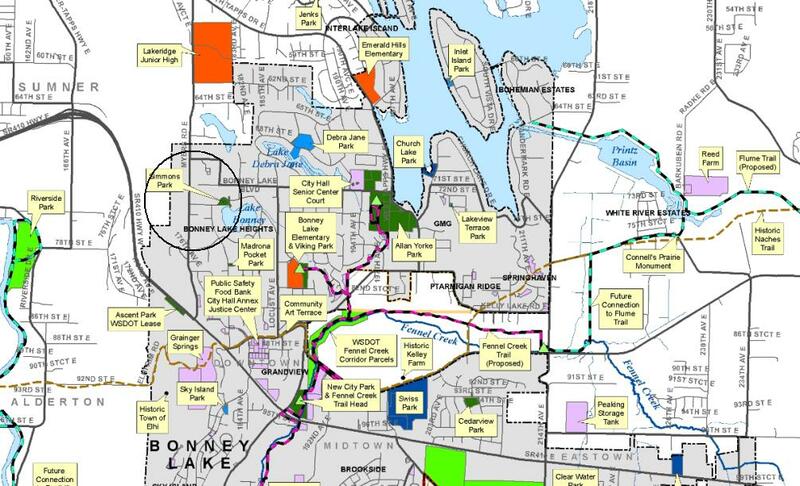 Whether you consider him a rascal or a hero, Kenneth Simmons was the driving force behind the development of Bonney Lake. 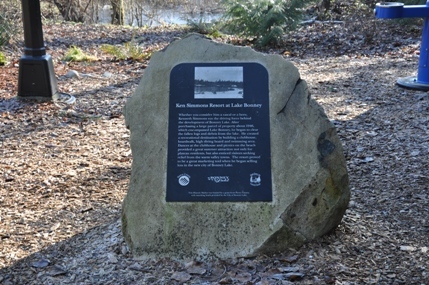 After purchasing a large parcel of property about 1946, which encompassed Lake Bonney, he began to clear the fallen logs and debris from the lake. 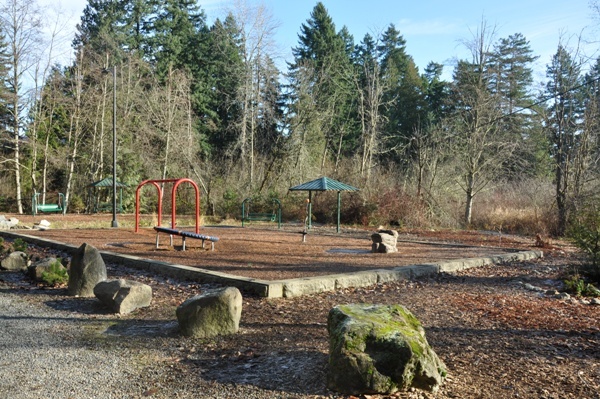 He created a recreational destination by building a clubhouse, boardwalk, high diving board and swimming area. 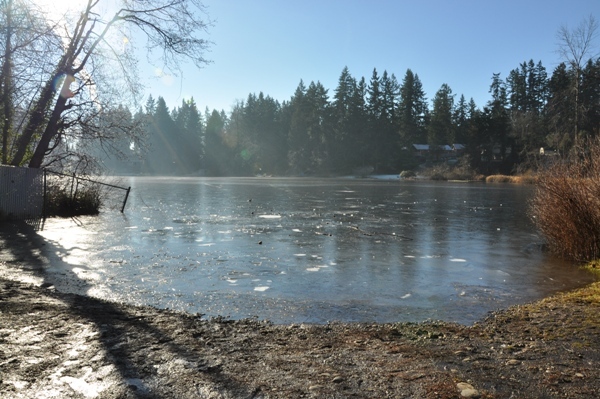 Dances at the clubhouse and picnics on the beach provided a great summer attraction not only for plateau residents, but also enticed visitors seeking relief from the warm valley towns. 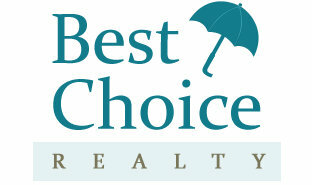 The resort proved to be a great marketing tool when he began selling lots in the new city of Bonney Lake. 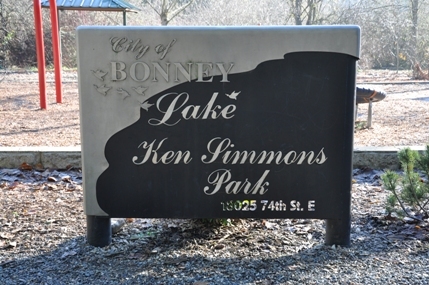 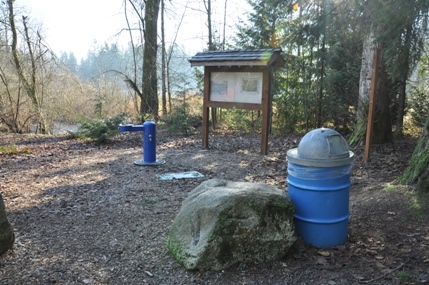 Ken Simmons Park is located on the northwestern edge of Lake Bonney. 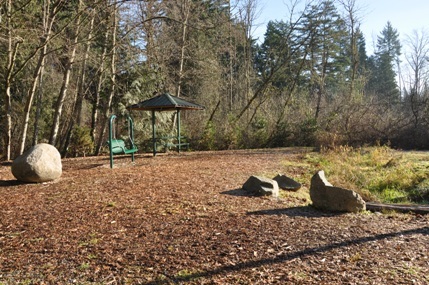 The park is very small. 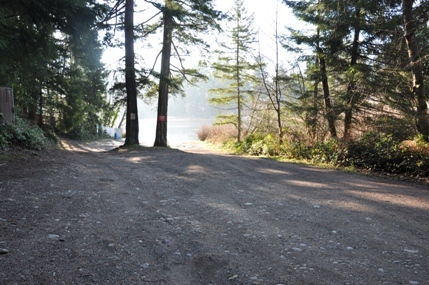 There is a non-motorized boat launch separated from the main park area by some wetlands. 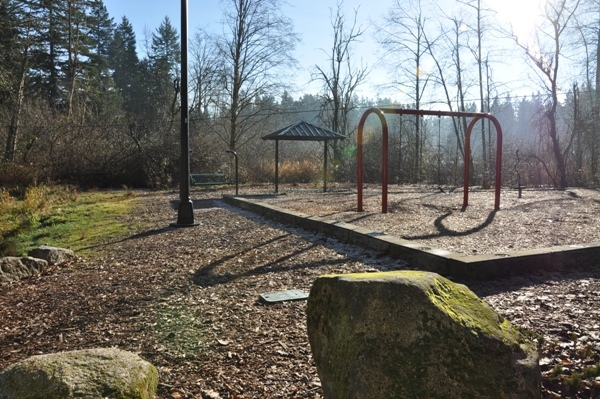 In the park area, there is some picnic spots, benches and a small kids play facility.